The first step in reducing bodyroll and making this car faster through turns is to replace the shocks and springs. 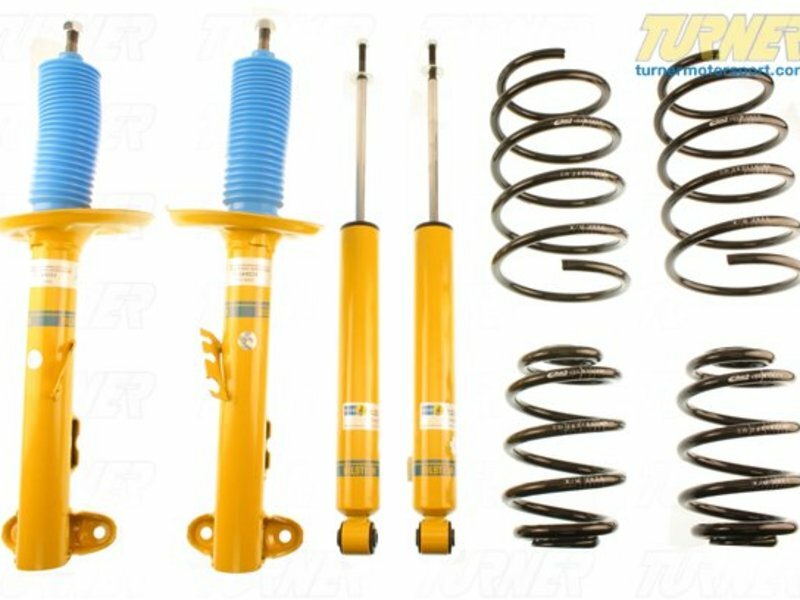 The lower, stiffer H&R Sport springs for the 535i will lower the ride height and manage weight transfer better than the stock suspension. We package these H&R Springs with a set of Bilstein Sport shocks for a complete upgrade in a discounted package. H&R Sport springs lower the ride height as much as 1.4" in front and 1.3" in the back and stiffens the spring rate. Both combine to lower the car's center of gravity and reduce the amount of bodyroll in corners. The springs are progressive rate so their initial stiffness is actually very compliant and it becomes stiffer as the spring is compressed. This is great for street cars that see bumps and potholes where suspension compliance is key. Overall, they are about 30% stiffer than the stock original springs. Lowering amount will be less if replacing the factory sport suspension. Fitment note: not for cars with self-leveling or EDC suspension.